Exclusive at Provinyl! 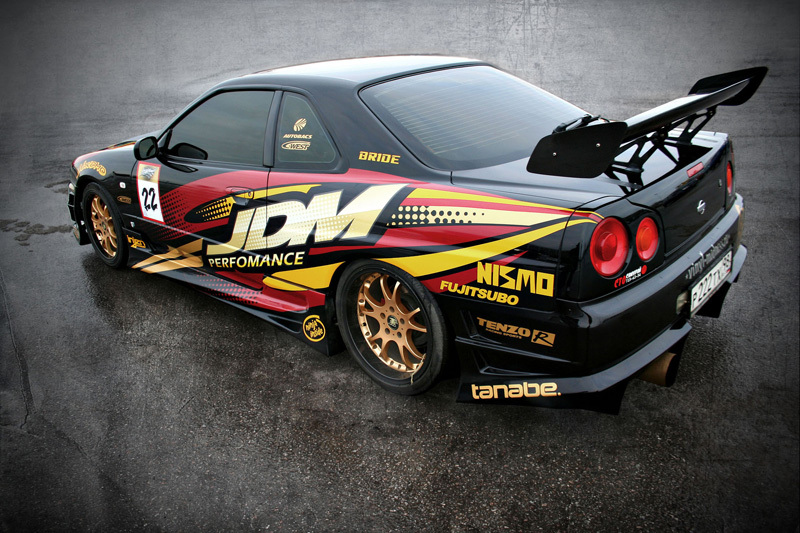 Create your own unique, crazy and wicked artwork for your car with vinyl! 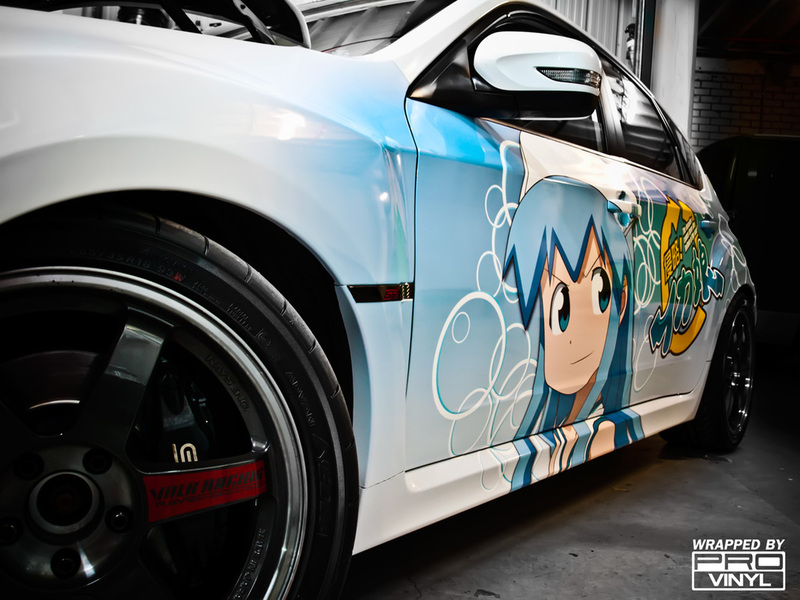 Their team of artistic genius offers you the sickest, wackiest and sexiest designs out there, where you will save thousands, compared to spray jobs as well as be able to keep your car in manufacture condition. Be ahead of the game at Provinyl, with custom art that can change to the seasons if you want, and give yourself the joy of having your cake and eating it too. Get yourself a unique individual pattern or colourful illustration designed especially for you and your car be it a commercial project or just a desire to be different from the others. 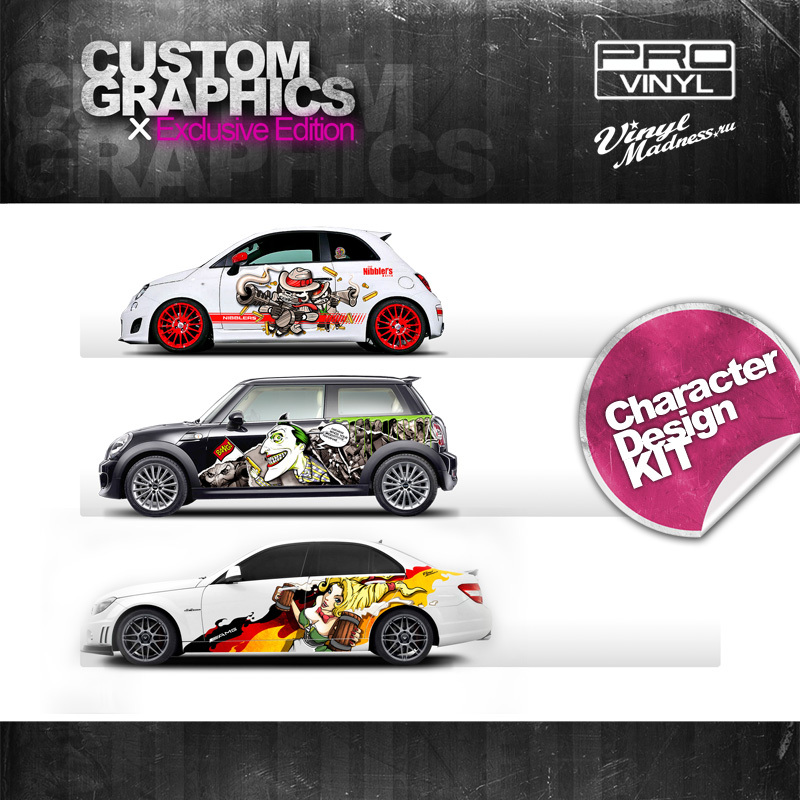 This design package includes a unique design tailored to your specifications and taste which will cover one to three panels on the car. 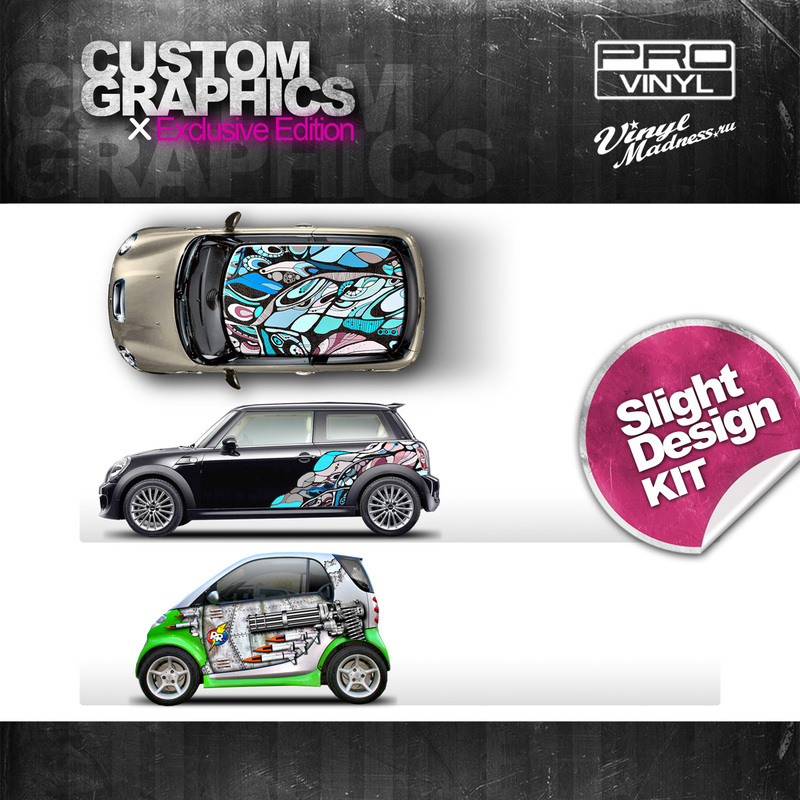 This design kit includes a full complex unique design created for your vehicle and will cover two sides or two sides plus front and back of the vehicle. All designs are created in vector form and will remain the property of the client and are 100% unique. 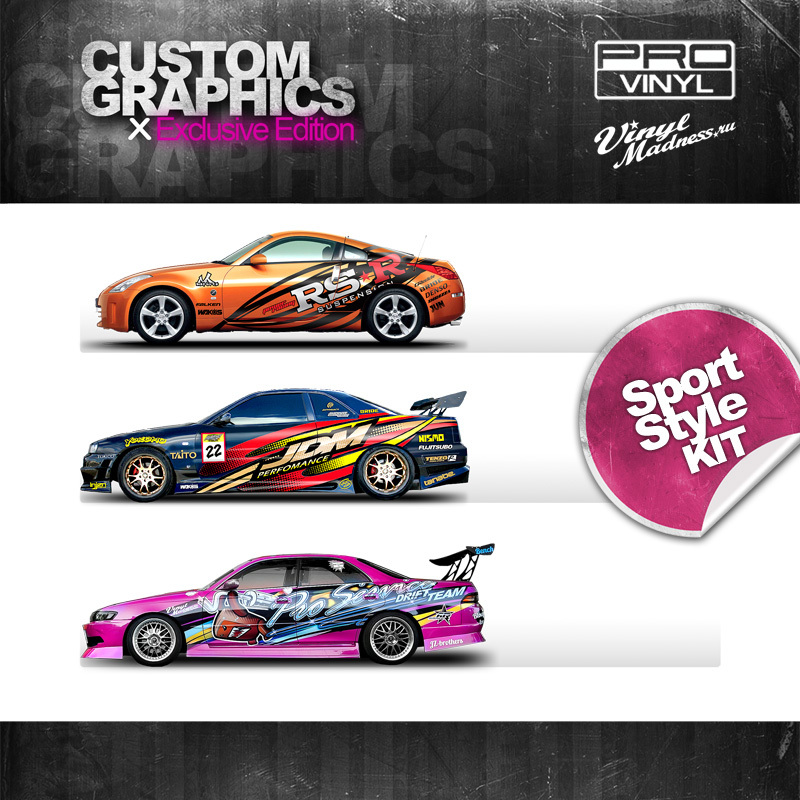 Sport Style Kit is a full turn-key design option which will involve a full vehicle design created to the client's specifics and will cover a part of the car or a full vehicle depending on client's demand. Designs and artworks can be pre selected from a wide gallery of art, ranging from modern chic to cartoon crazy. 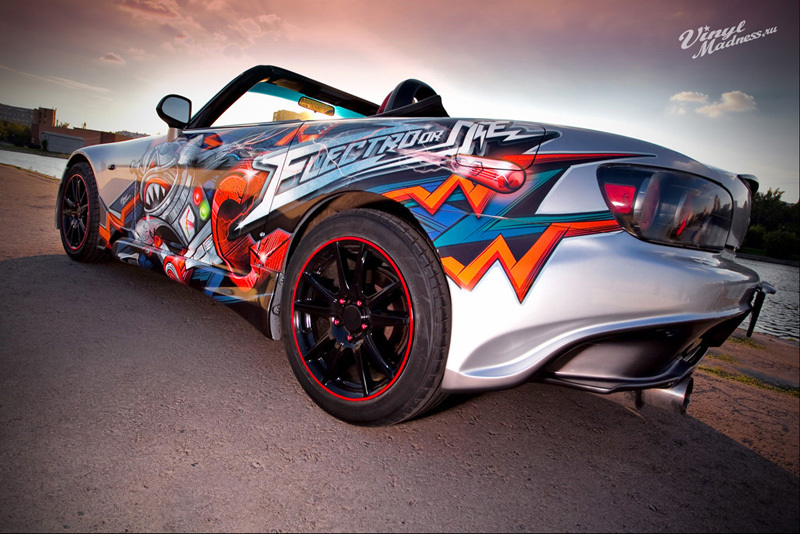 If you desire something detailed, personal, and completely you; Provinyl will collaborate and take in all requests for our team of artists to create the perfect car artwork. Each job can take approximately 2 weeks to get delivered after finalising your custom art, depending though on how original you want to be. Provinyl will take any idea, as mad and out there that there is and deliver the best results every time. Don't damage your car with paint, and endless time researching which artists won't screw up a paint job that will rob you clean. Hobby Professional interests Character type / driving manner Favourite cartoon character Favourite game character Favourite music genre etc.